I’m a Certified Nutritional Practitioner, 21-Day Sugar Detox Coach, Food Revolution Ambassador and part-time traveler currently based in Toronto, Canada. Food and travel have always been a part of my life and many of my early memories are food or travel-related: The time my mom was making coloured, sweet popcorn for my birthday party, I thought the blue food colouring was what made the popcorn sweet so I snuck a swig when she wasn’t looking. Note: food colouring is not sweet and a blue mouth is not a good look for your birthday party! Getting on an airplane meant heading off for an adventure and getting cheese & crackers on the airplane (anyone else remember when the snack was a piece of real cheese?). Road trips were exciting for journey, the destination and the pit stops for food. I used to be a corporate marketer until a lengthy illness led me to re-evaluate my diet and lifestyle with the goal of healing naturally. I quit my job, went to school to study Holistic Nutrition, and changed my health & my life. Along the way I completed the Specialty Baking program at the Bonnie Gordon College of Confectionary Arts and Culinary Nutrition in the Kitchen program at the Institute of Holistic Nutrition. These days I’m just as excited about food as when I was a kid, my choices are just different. I’m excited to inspire you to make healthy eating simple, delicious and enjoyable! As Certified Nutritional Practitioner I focus on helping you learn about food: the powerful healing abilities of nutrient-dense whole foods, figuring out what works for your body & lifestyle, how to navigate the grocery store and what to do when you finally get all that food home! With the right foods you can promote and maintain good health – and it can be done simply and without sacrificing taste. I’m ready to inspire you to make healthy eating simple, delicious and enjoyable! To do all of this while travelling is the dream. Join me on this journey as I teach the amazing benefits of nutrient-dense foods, recount tales of past travels, experiment in the kitchen and hit the road for more amazing experiences. Nomadic Nutritionist is a combination of my love of nutrition and travel! 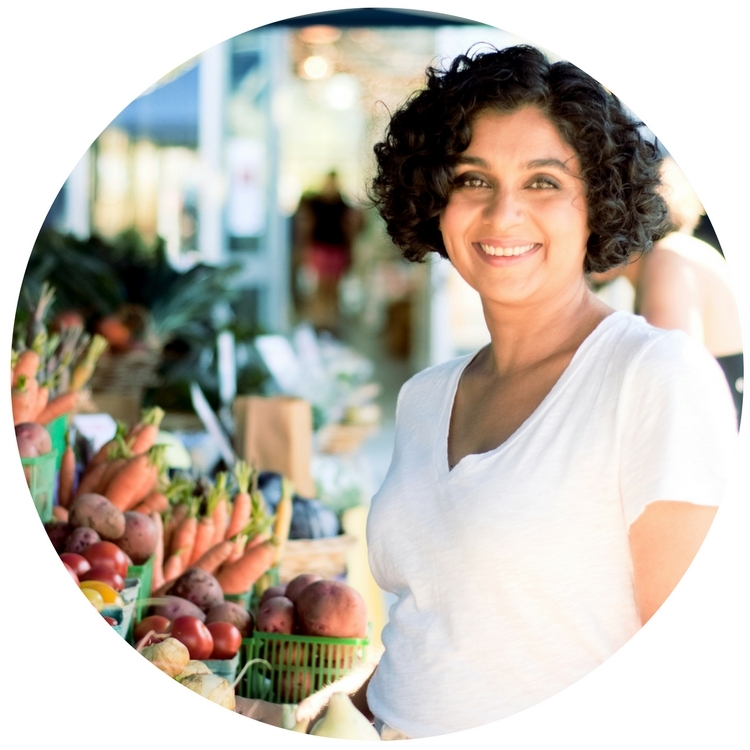 Hema is truly a holistic nutritionist – she has so much wisdom to offer beyond just telling people what to eat! I was honoured to have her share a month’s worth of experiential wellness sessions at my coworking space. She has a wealth of knowledge and is a thoughtful and engaging facilitator. Her tips and exercises helped us create healthy boundaries to avoid letting work take over our lives. She also showed us how to eat mindfully – not just in terms of what we eat but how we engage with food holistically so that eating becomes a truly sensual and spiritual practise!